That’s not something you’ll have to worry about when you purchase a pre-owned vehicle from Chatham Mazda. We have a huge inventory of certified pre-owned vehicles in stock, and we also have the expertise you’re looking for when making such an important decision. Come speak with our Mazda pre-owned vehicle experts. They will help you find the perfect new vehicle for you and your needs as well as your budget. In the meantime, check out some of the advantages that come with buying a Mazda certified pre-owned vehicle at Chatham Mazda. At Chatham Mazda, all of our Mazda certified pre-owned vehicles receive a 160-point inspection that covers all of the vehicle’s major mechanical components as well as the exterior and interior. This inspection also makes sure that nothing is left to chance when the vehicle is put on sale. If any problem is detected, then we will make the necessary repairs using only genuine Mazda parts. 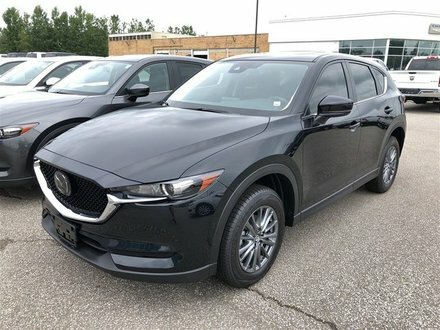 To learn more about the Mazda certified pre-owned vehicles we have in stock, contact us today at Chatham Mazda.